Honeywell True HEPA HPA300 Air purifier with Allergen Remover can significantly increase the quality of your indoor air and keep you apart from allergies, asthma, and other respiratory difficulties. Confirmed for Large Rooms up to 465 square feet (43 square meters), 4 air cleaning levels, equipped with powerful filters and other great features. Control panel of the Honeywell True HEPA HPA300 Air purifier is on the top of the unit so it is very easy to access it. In front of the unit comes large front grille where the air is being sucked in. Behind the grille are pre-filter and True-HEPA filter. 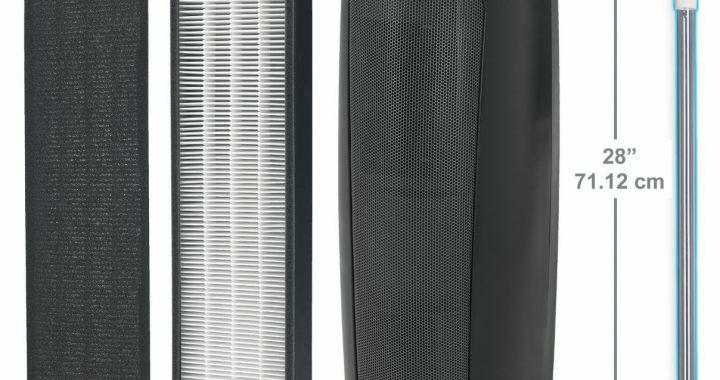 Air Purifier is quite large – height is 22.4 in (57cm), width is 20 in (51cm) but depth is 10.8 in (27cm) and it weighs 17 pounds (7.7 kg). 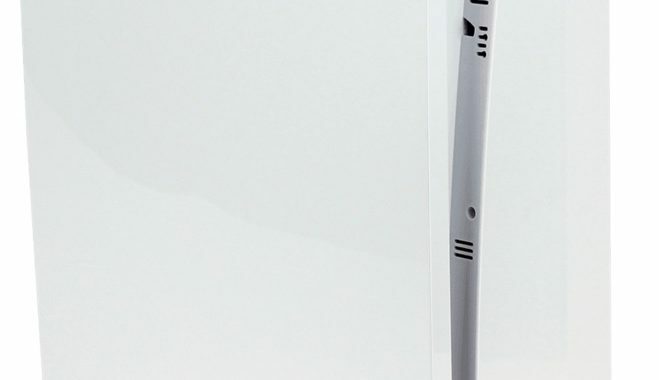 To carry it from one place to another you will need to use both hands and side handles. When it comes to performance you don’t need to worry. 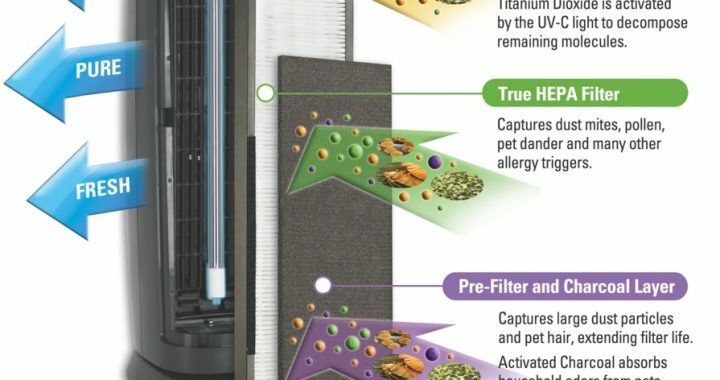 Honeywell HPA300 works perfect, pre-filter captures larger particles but true HEPA filter completely catches up to 99.97% of airborne allergens, 0.3 microns and greater, that move through the filter. Honeywell HPA300 easily captures smoke, pollen, pet dander, mold, spores and most of the household dust. This model is allergist recommended. In a survey in the United States, it got a lot of top picks – more than any other model. Honeywell HPA300 doesn’t have an auto mode and air quality sensor but it has a lot of other useful and necessary features. Automatic filter replacement notices on the outside of the unit when you need to change the filters. The Honeywell true HEPA HPA300 air purifier is very quiet while running on low speed but it” very loud on turbo setting. So for everyday use, it is very OK, but when you need fast cleaning then it will be loud. That’s very normal because noise means that the unit works and air flow makes noise. As many other air purifier manufacturers also Honeywell recommends to clean air purifier at least once every 3 months. Clean the unit with a dry cloth to wipe the outside surfaces of the air purifier. Remember to not use water. This Pre-Filter needs to be replaced every 3 months. To change the pre-filter you just need to open the front cover – super easy. True-HEPA filter needs to be replaced once a year. No tools required to change the filter. If you don’t clean air purifier frequently or forget about the filters change the unit will make you know about that starting to run louder. The unit is energy star qualified, on the turbo setting it uses 129 watts energy and only 42w on low setting. That’s less than most of the electronic devices in your home. Overall Honeywell HPA300 air purifier is a really great unit for general air cleaning, for those who suffer from allergies. Many specialists call this unit Allergen Remover. I have to agree. The air purifier covers large space, captures most of the airborne pollutants, it doesn’t require magnificent maintenance. Honeywell HPA300 is definitely one of the best and most affordable units on the market. Note: Though Clean Air Delivery Ratings (CADR) can be found for a large number of favorite brands, many of the most well-respected companies in the air purification field do not give CADRs to their purifier. This should in no way bias potential customers against them. Posted in Air Purifier Reviews, Reviews and tagged Air Purifier review, honeywell air purifier, honeywell air purifier review.